Since many years, Euro-Divers Dive Masters & Instructors are trained to pass good advises to our divers during orientation dives & dive briefings about safe diving practices and to avoid any negative impact on marine environment. Apart of the basic rules of not throwing trash into the sea, not to anchor on corals, not to touch, not to collect marine life and not to feed the fish, we ask our divers to secure all regulator hoses and gauges to their BCD, to maintain good buoyancy, to watch their fin kicks and to keep a reasonable distance from the reef. We also point out potential marine life hazards in the different areas we operate. Euro-Divers Worldwide wears Green Fins! Helped by the Reef World Foundation, Green Fins was created as an initiative from UNEP (United Nation Environment Program). It provides Diving & Snorkeling Operators environmental standards, good visual material for environmental awareness to ensure a sustainable tourism industry for better and greater respect of the fragile marine environment we all hope to enjoy for many more years. Different posters and recommendations are part of the signage of our dive centres. 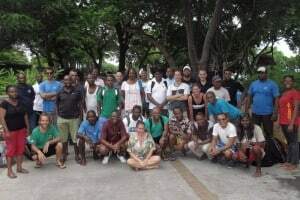 Held annually on the 3rd Saturday in September, Euro-Divers Worldwide participates with its divers and non-divers to the Project Aware International Clean-Up Day (www.projectaware.org). 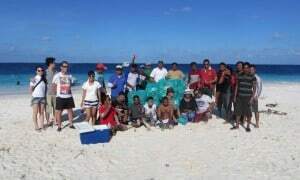 With all volunteers, we clean our reefs and beaches nearby our dive centres. We use our own guidelines to conduct these operations to maximize success and safety. Special equipment such as mesh bags, gloves, shears or scissors are distributed to everyone for the cleaning and includes techniques to remove garbage with great cautious. Thus, tons of garbage is removed every year all over the world in a single day. Maldivian Whale Shark Protection Area. 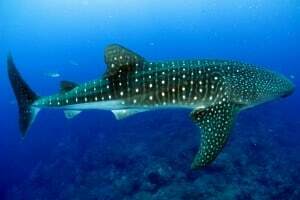 The South Ari Atoll is known for many Whale Shark encounters. This area is actually one of the three known locations Worldwide to have a “Resident” population of Whale Sharks all year round. Our dive centers at LUX* Maldives and Vilamendhoo Resort record and update monthly the International database for whale shark encounters (www.whalesharkresearch.co.uk). These informations help marine biologists to understand Whale Sharks behaviors (current location, feeding places, movements, etc.). Both Euro-Divers Dive Centres are the main contributors in the area for the researchers based in U.K. In parallel, local marine biologists and some of our staffs had seating at the Maldivian Whale Shark Protection Area Committee to improve communications and understanding with local islands and government about this unique place to preserve. 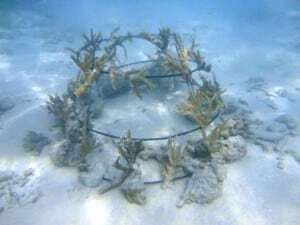 Attach pieces of living corals on a handmade frame and learn how coral benefits to marine life biodiversity. Then choose a location in the lagoon for your own little coral reef to grow. Your frame will have a number for easy identification for your next visit and photos of your frame will be posted regularly on the dive centre Facebook page for you to see its development. Bring your family over and let your children choose the location of the coral frame and let them named the fish that will squat the place! Contact your dive centre before your arrival for more info. Regular cleaning of our dive sites is done during our each daily dives. Our instructors and dive-masters collect on each dive a small amount of rubbish, usually small plastic and fishing lines. Asking our guests to keep their water bottle with them and not to reuse another bottle unless they have finished their first one. Installing a water distributor in the dive centre. This distributor can be used by everyone. Protection of the biodiversity and regular beach clean-up. Yearly cleaning of the lagoon is done during September. Generally we concentrate our efforts cleaning under club med jetty. Generally we collect used plastic and glass bottles, fishing lines, rubbish and even bones. We participate in the PADI aware Clean up project. Euro-Divers Mauritius have participated in February 2015 to projects “Islands” and “Biodiversity” lead by IOC (Indian Ocean Commission). More than 30 researchers and divers participated to coral state assessment of Albion reef dive spot. Those researchers came from Mauritius, Comoros islands, Madagascar, Seychelles, Mayotte, La reunion island, Kenya, Mozambique. 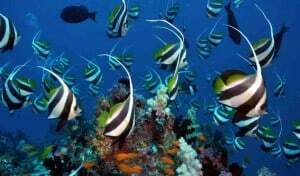 Objectives are to improve monitoring capabilities of coral reefs around the Indian Ocean. For more details and photos please visit the Commission de l’océan Indien website. 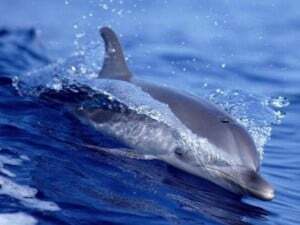 The Region of Hurghada and El Gouna is populated with several groups of dolphins, mainly the Indo Pacific Bottlenose Dolphin (Tursiops Aduncus) living in the Indian Ocean from Cape town, South Africa to the North of Tokyo, Japan up to the east coast of Australia. This dolphin is very similar but slightly smaller than the Common Bottlenose Dolphin (Tursiops Truncatus) found in all temperate and tropical water of the world. We provide at our Dive Centres extensive information regarding these wild animals, like identification, postures when they are asleep, postures when they want to play, how to be approached by them, etc. Every single snorkeler and diver receives a special briefing about dolphins living in our reefs and how to keep a good conduct toward them.